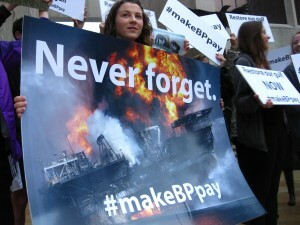 (New Orleans – February 6, 2015) A new national survey reports that 70 percent of Americans polled nationwide believe “BP should be fined the maximum amount allowed under the Clean Water Act” for its role in the 2010 Gulf oil spill. The third and final phase of the BP oil spill civil trial, which will determine how much the oil company will be required to pay in fines, concluded this week in New Orleans. BP could be ordered to pay up to $13.7 billion in Clean Water Act fines for its role in one of the largest oil disasters in U.S. history. An overwhelming majority of Americans polled in all parts of the country said they believed BP should pay the maximum fines, even after hearing BP’s claims of what the company has already spent on “spill-related costs” thus far. This is according to the results of the independent survey conducted by the polling company, inc./WomanTrend.